In books and in movies, the contents of wills often come as a shock to the family. But in real life, wills are often heavily discussed prior to the will maker's -- also known as the "testator"-- death. 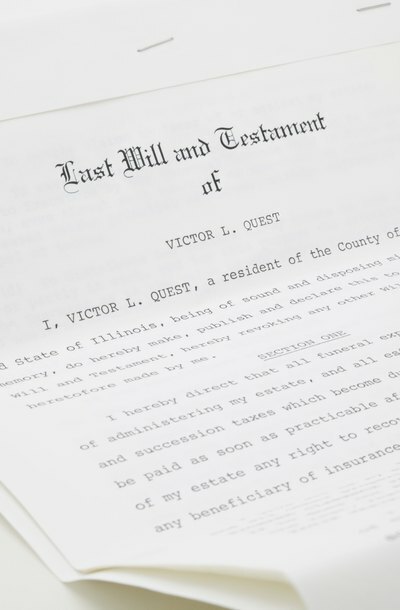 Executors are neither legally entitled to read the will nor legally prohibited from doing so, and whether or not an executor reads a will is likely to depend on the executor's relationship with the testator. Executors have many roles: they must notify insurance companies and financial institutions of the testator's death, locate safety deposit boxes, pay off debts and ensure that beneficiaries receive what is left to them in the will. Some wills allow executors to make judgment calls about who gets what, and other wills are very specific. Family members with business or legal backgrounds may be appointed as executors while some people choose to use lawyers or professional will executors. Particularly when there is a large estate involved, there may be a formal will reading scheduled with an attorney shortly after the death of the testator. However, any person may read the will before the death of the testator if the testator allows them to. The executor has no right to read the will prior to the death of the testator, but because many executors are family members, the testator may discuss the will with or read the will to the executor. Often, discussing a will with family members prior to death can decrease friction. Wills do not become public records until after the will is filed with the probate court. Thus, executors have no right to read a will before the testator's death. Some people opt to write sealed wills, and give only one sealed copy to a lawyer, accountant or other person for safekeeping. They may even add a provision to the will dictating that no one must read it or else the will becomes void. These provisions, however, can be difficult to enforce and can lead to a messy fight over the will. When a family discusses a will together, it can be helpful to have the executor there. If, however, the executor is the only person who sees the will prior to the death of the testator, or the executor benefits substantially from the will, family members may attempt to fight the will. Executors should ensure they do nothing that creates the appearance they are unduly influencing the testator, and executors who stand to benefit from the will may want to suggest that someone else be named as executor. EstateSettlement.com: Executor of Will: Who Should It Be? A power of attorney grants an individual, known as an agent or "attorney-in-fact," the power to act on behalf of the person granting the power, known as the "principal." This document may give an agent broad authority to manage the principal's finances or limited authority during the principal's lifetime, such as the power to pay specific bills. Executors, on the other hand, are named by a will maker, or "testator," in a last will and testament and their authority only comes into existence upon the death of the testator.